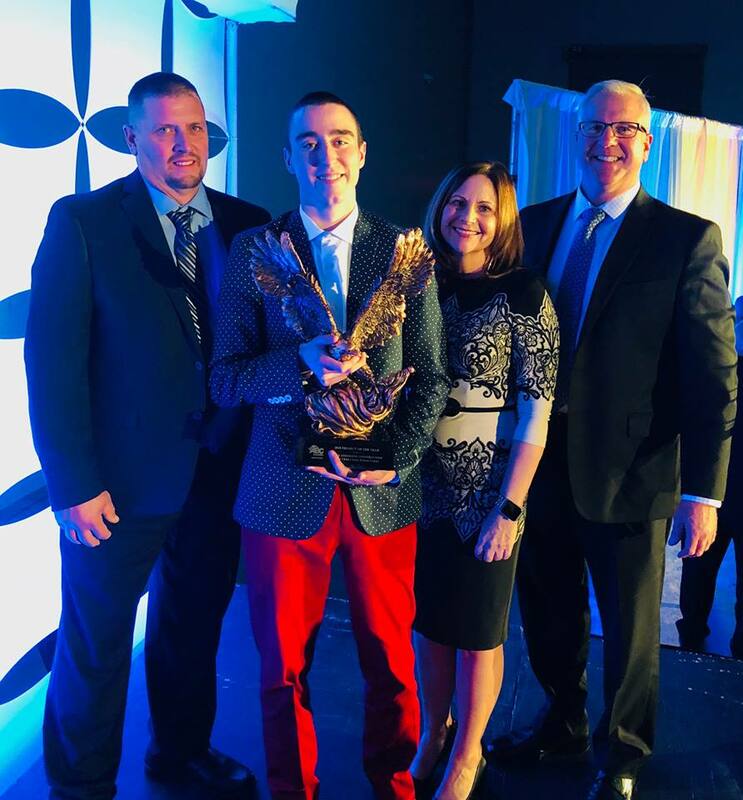 Central PA-based Poole Anderson Construction receives two National Excellence in Construction® Awards for their work on the Millersburg Area School District’s Give a Child A Voice Fitness Center. The awards were given recently during Associated Builders and Contractors’ Keystone Chapter 2018 Excellence in Construction® Awards celebration in Lancaster, PA.
“Congratulations Poole Anderson Construction on winning project of the year – a tremendous award and accomplishment for a company that is certainly deserving given the selfless time, energy, effort and materials members of your team contributed in fulfillment of the Give a Child a Voice Fitness Center!” Thomas J. Haupt, Superintendent, Millersburg Area School District. 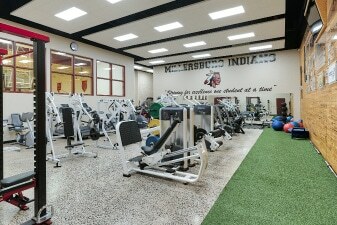 The Millersburg Area High School’s Give a Child a Voice Fitness Center located in Millersburg, PA won an Excellence in Construction award as well as the highest honor of 2018 Project of the Year. Poole Anderson’s involvement with the renovation of the gymnasium began by responding to a request for a construction estimate to support a wish granted by the Make-A-Wish Foundation to a young man with brain cancer. The initial project entailed the renovation of the school’s weight room which included removing bleachers, building a demising wall and refinishing the existing floor. The Make-A-Wish Foundation provided new weight room equipment. Upon getting the request, Poole Anderson decided to take on the whole project for free. They completed the original scope of work as planned and incorporated many additional features throughout construction. The final result was a brand new “state of the art” fitness center that will provide the students with a place to focus, grow and achieve self-improvement. Crabtree, Rohrbaugh & Associates Architects provided design services on the project. “It’s not often that we get the opportunity to provide a service for someone as unique and inspiring as Eric Erdman. Creating a space that will provide future students with the opportunity to transform themselves is the type of project every designer hopes to be a part of”, Randy Davis, Principal – Director of Marketing & Communications. ABC’s Awards of Excellence Program is the premier competition within the construction industry that recognizes outstanding construction projects. The winning projects, selected from entries submitted from across the chapter, were judged on complexity, attractiveness, unique challenges overcome, completion time, workmanship, innovation, safety and cost. Poole Anderson’s Keystone Chapter award will advance to the ABC national awards competition. Poole Anderson won two ABC National awards in 2017. Poole Anderson Construction is a central PA based construction company serving clients throughout the northeastern United States. For more than 94 years, we have built partnerships on the foundation of integrity, trust and quality craftsmanship. Visit us at www.pooleanderson.com. The Associated Builders & Contractors (ABC) is a national construction industry trade association representing more than 21,000 members. Founded on the merit shop philosophy, ABC and its 70 chapters nation-wide help members win work and deliver that work safely, ethically, and profitably for the betterment of the communities in which they work. Visit us at www.abckeystoneorg.